On this interview show, Gwen and Derek have the pleasure of talking with Howard Shapiro. The latest book in his Forever Friends Series, Hockey Karma, was just released last week from the Animal Media Group. The two talk with their guest about the series as a whole — including the two previous graphic novels The Stereotypical Freaks (2013) and The Hockey Saint (2014) — but specifically focus on the most recent work. Howard discusses the role that music plays in his books, which in many ways goes hand-in-hand with the premise of most of this narratives: hockey. He explains that while Hockey Karma (and The Hockey Saint) is centered on the sport, its themes transcend the ice rink. The Forever Friends Series is all about the struggles of growing up and finding your place, appropriate reading for young readers who will empathize with the books’ protagonists. Creator Israel Idonije, along with writer Ron Marz and artist Bart Sears, has delivered to comics fans The Protectors, which has the first five-issue arc available now in trade paperback! I met Israel at this year’s C2E2, and I was happy to pick up and dive into this great comic story! I talk with him about his two loves, sports and comics, and how he has blended them together. We also discuss how The Protectors came to be as well as what we can expect in the future! For more about The Protectors, be sure to go to this link, or this one to purchase your copy. Don’t miss this highly recommended series! Sports have rarely been subject matter for comics in the US; perhaps comics’ inherent static-ness has seemed antithetical to an activity with so much movement. But Japan has seen comics about various sports, and some of them have been quite popular, even iconic. 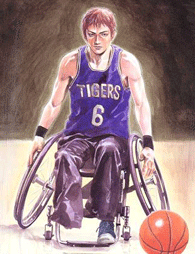 Takehiko Inoue’s Real is not only about basketball, but about physical handicaps, relationships, and more. Kumar and Ilango find a whole lot to like about it — including the satisfying ways in which it translates sports action to the comics page. V for Vertigo, Episode 82: Musical Madness! If you hate hearing me sing, this episode ISN’T for you. I’m more loopy than normal and all over the place. I blame Daylight Savings. I talk poker, Halloween, sports and of course The Walking Dead because everybody else is. 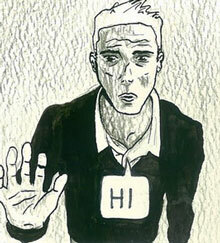 There’s a bit of sad news this week in yet another Vertigo cancellation. It’s actually a bit of a surprised in which title it is. Lastly, I do a bad job of covering Y: The Last Man–One Small Step (Brian K. Vaughn, Pia Guerra). Madden 2009 releases today and that can only mean one thing, football season has arrived. We talk about the video games, football movies and tv, and the game itself. Hut, Hut, HUT! Recorded LIVE on Stickam at http://live.totgu.com.